Most farms in developing and least developed countries are small, generally plots of less than two hectares of land. Smallholder farmers manage over 80% of the world’s estimated 500 million small farms and provide over 80% of the food consumed in Asia and sub-Saharan Africa, contributing significantly to poverty reduction and food security. As much as 75% of global seed diversity in staple food crops is held and actively used by smallholder farms. However, despite their vital role in the global agricultural community, the participation and priorities of smallholder farmers – most of whom are women – are often neglected. Effective mechanisms giving smallholder farmers a voice in policymaking are imperative to address their needs and interests, to promote the conservation and sustainable use of plant genetic resources and more broadly, to ensure food security. The rights of small-scale producers, alongside the integrally related rights of rural women and girls, which is the priority theme for the 2018 session of the Commission on the Status of Women, have been long-standing issues on the UN agenda and the subject of numerous resolutions. The Secretary-General’s report to the General Assembly (A/72/207) on the situation of women and girls in rural areas echoed the importance of Goal 2, adding that “the implementation of the framework constitutes an unrivalled opportunity to achieve gender equality and realize the rights and empowerment of women and girls in rural areas.” (A/72/207 Paragraph 11). In preparation for the 2018 session of the CSW, UN Women convened together with the International Fund for Agricultural Development (IFAD), the Food and Agriculture Organisation (FAO) and World Food Programme (WFP), an Expert Group Meeting (EGM) on the primary theme, “Challenges and opportunities in achieving gender equality and the empowerment of rural women and girls”. Support the transition to energy, water and resource democracy within the transition to universally available renewable, clean energies. 9. Implement The Voluntary Guidelines on the Responsible Governance of Tenure of Land, Fisheries and Forests in the Context of National Food Security (the Voluntary Guidelines) adopted by the UN Committee on Food Security (CFS) and Principles for Responsible Agricultural Investment (PRAI) more rigorously, particularly those guidelines pertaining to women’s land rights. The right to participate in decision-making is also protected in several human rights treaties, including CEDAW, the International Covenant on Civil and Political Rights (ICCPR), the International Covenant on Economic, Social, and Cultural Rights (ICESCR), and the United Nations Declaration on the Rights of Indigenous Peoples (UNDRIP). Moreover, the Convention on the Elimination of All Forms of Discrimination Against Women (CEDAW)’s March 2016 General Recommendation 34 on the rights of rural women recommends that State Parties “ensure that rural women and their organizations can influence policy formulation, implementation and monitoring at all levels and in all areas that affect them” and ensure rural women and their representatives are able “to participate directly in the assessment, analysis, planning, design, budgeting, financing, implementation, monitoring and evaluation of all agricultural and rural development strategies”. Additionally, the Human Rights Council is currently drafting a new UN declaration on the rights of peasants and other people working in rural areas. Farmer organizations could use the UN Human Rights Council accountability mechansim, the Universal Periodic Review (UPR),2 to support implementation of Article 9.2(c), in particular its operationalization through a legal framework at the national level. At the same time, CEDAW and women’s rights processes and mechanisms can be powerful tools for farmers’ rights realization, the starting point being the activation of the right to participate in drafting national and regional laws. A major obstacle to ensuring the rights of women farmers is the intellectual property and related protections contained in many trade agreements. As highlighted in the report of the EGM, “States and UN treaty bodies have recognized the detrimental impact that the Trade-Related Aspects of Intellectual Property Rights (TRIPS) can have on rural women’s human rights”; several trade agreements include intellectual property protections that go beyond the requirements of the World Trade Organization’s agreement on TRIPS. A second feature of the trade regime which contributes to undermining farmers’ rights is the International Convention for the Protection of New Varieties of Plants (UPOV Convention)3 Recent trade agreements, including the Comprehensive and Progressive Trans Pacific Partnership Agreement (CPTPP), require that States parties sign the UPOV Convention (UPOV 91).4 UPOV 91 grants and protects plant breeders’ rights, resulting in monopoly rights over ‘the sale, reproduction, import, and export of new varieties of plants’. By providing protections for agri-food companies – both through plant breeder rights restrictions and patent protections – the Convention inhibits farmers’ abilities to save and exchange seeds. Another critical issue faced by small farmers is regional seed policy harmonization, the process of creating common standards for a particular regional economic bloc. Harmonization processes center on three core aspects: variety testing, registration and release; seed certification; and phytosanitary measures. High costs, intensive labour demands, and stringent international standards make it difficult to certify and trade farmers’ varieties. There are no mechanisms for redress by and compensation to farmers in the event that a variety fails to perform. Seed laws – whether regional or national – make it unlawful to market and trade seed that is uncertified, thereby effectively criminalizing the sale and exchange of farmers’ varieties, and eroding farmers’ seed sovereignty. In spite of fast urbanization, half of the women of the world still live in rural areas and of them two thirds in developing countries. To fully implement the rights of rural women and girls, it is critical to effectively operationalize their rights to participate in decision-making processes and address barriers created by incoherent or unfair trade and investment policies. Meaningful participation in decision-making is not just about online consultations and surveys, or even a few face-to-face meetings that purport to seek views and inputs which have little or no bearing on the outcomes and decisions. A fundamental principle of rights to public participation is that they encompass the right to be consulted at each phase of legislative drafting and policy-making, to voice opinions and criticism, and to submit proposals. This entails a long-term and genuine commitment to engage in processes of intensive dialogue. Since actual decision-making remains the prerogative of the State, essential to the right to participation is also the right to seek a review of a decision and redress/remedies if it results in adverse effects on the individual or group concerned. Access to justice with appropriate administrative and judicial procedures and the right to participate are thus inextricably linked. As it works to protect and promote the rights of rural women, a priority for CSW62 should include attention to the full implementation of treaties that guarantee the rights of small farmers, the majority of whom are women, and to be a rigorous part of their monitoring and accountability. Policy recommendations should include addressing obstacles, such as agricultural trade rules, seed patenting, and policies that protect big corporate investors over women farmers. 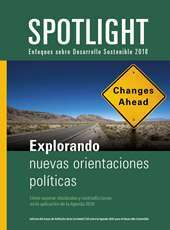 1 Farmers’ Right to Participate in Decision-making – implementing Article 9.2 (c) of the International Treaty on Plant Genetic Resources for Food and Agriculture, Working Paper, APBREBES, September 2016, by Chee Yoke Ling and Barbara Adams with contributions from Sangeeta Shashikant and Laurent Gaberell. Published by the Association for Plant Breeding for the Benefit of Society (APBREBES) and its member organisations: Development Fund, Public Eye, SEARICE and Third World Network. 2 The UPR was established when the Human Rights Council was created on 15 March 2006 by the UN General Assembly in resolution 60/251. 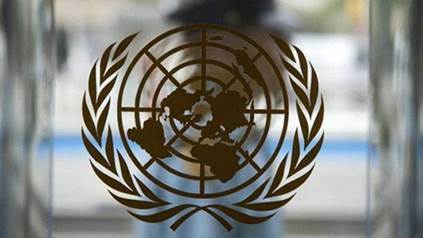 This mandated the Council to “undertake a universal periodic review, based on objective and reliable information, of the fulfilment by each State of its human rights obligations and commitments in a manner which ensures universality of coverage and equal treatment with respect to all States”. Previous story Is the private sector the “preferred partner” of the UN over civil society?